Good-bye weekend, Hello Monday Morning! 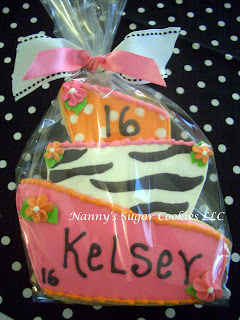 Not only did I spend the weekend working on Thanksgiving cookies I also worked on cookies for a 16th birthday. 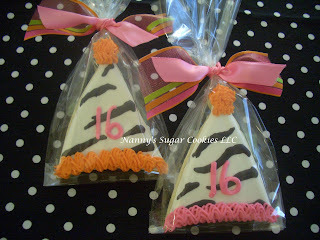 Zebra print topsy turvy tiered cake made special for a 16th birthday. Thanks cheryl for your order. 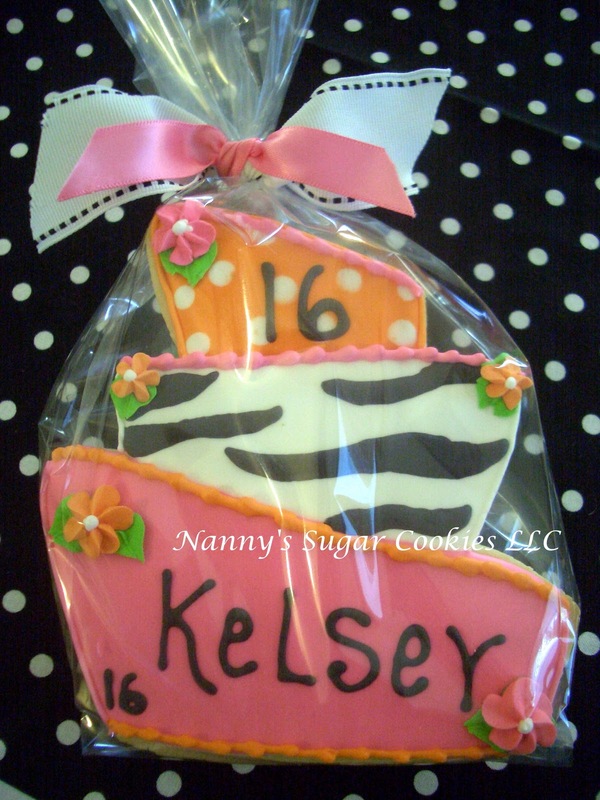 Nanny's Sugar Cookies Appreciates your business! I hope your daughter has a fabulous Sweet 16! Another recent Topsy Turvy tiered cake for a birthday celebration. High heeled shoes were also included in this order.